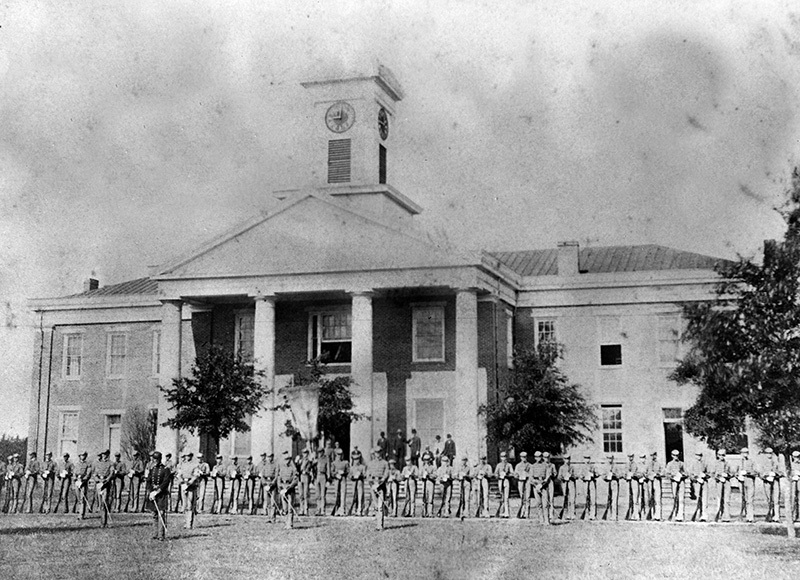 Cadets muster outside the library on the campus of Howard College in Marion, Perry County, in 1858. The school, now Samford University, moved to the Birmingham area in 1887. During the Civil War, the Marion campus served as a military hospital.